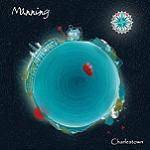 Brand new CD by MANNING with the excellent 35 minute title track! More information: 'Charlestown' is made up of six new recordings including the epic mulit-sectioned title track. The album features the new band line-up and includes Dave Albone's last work with the band before his retirement. "Definitely a more challenging listen this time around, lots of quirky time signatures, stark light and shade plus more band ensemble / orchestral playing...I always liked albums that I maybe did not get into right away, but kept coming back to time after time to really appreciate...A Passion Play and Topographic Oceans spring to mind...my first reaction was a 'what the *?/*@! '...but now I love them dearly' (Guy Manning).